I am all for electing Maryland’s former Governor Martin O’Malley the 45th president of these United States, not because I align myself with his political party, but mostly because I believe in good old-fashioned nepotism, and I’m convinced that his election will bring more writing and editing jobs to the Old Line State. What’s more, I like to see representatives of little known ethnic groups, like O’Malley’s, holding federal office. For instance, as a boy I was a great fan of Spiro Agnew, whom I believed had invented the Spirograph, and more recently, I was very saddened to hear that Baltimore native Barbara Mikulski would be retiring and thus relinquishing Maryland’s seniority membership on the Senate Appropriations Committee. Oh, how we Marylander’s will miss the sweet smell of Polish pork kielbasa. But as much as I would like my former Maryland Governor to reshape the oval office, I’ll be the first to admit, Governor O’Malley could do a better job of selling his Eco-friendly platform: green energy, green energy jobs, and a fresh coat of non-lead-based paint for the White House. Yes, I like his energy plan, but during the first Democratic debate, when he called Las Vegas, “one of the most sustainable cities in America,” I was tempted to double-check his Green Card. And while his goal of a clean electricity grid is most estimable, the deadline of having this accomplished by 2050 will certainly tax the average American’s patience. For instance, on July 20th of 1969, I can still remember my parents tapping their toes and checking their watches waiting for Neil Armstrong’s capsule and JFK’s 10-year space program to reach the lunar surface before my bedtime. Overall, O’Malley’s clean electricity grid platform isn’t a bad one, but I’m increasingly worried about its ability to put the former Governor and, by association, Marylanders in the executive suite. The trouble involves one Donald J. Trump, a man who has already set himself up as the candidate with the most energy. Added to this, because Trump’s poll numbers have recently taken a hit from challenger Ben Carson—whose poll numbers seem continuously poised to take a hit from Ben Carson—I’m convinced that Mr. Trump is about to make a bold move. On this point, the great negotiator and supporter of “Passionate Energy” will not negotiate, and the policy change will be a brilliant political move, one that’s sure to reinvigorate his campaign, leave brain surgeon Ben Carson fumbling with his scalpel, but worst of all, leave Martin O’Malley and ambitious Marylanders watching our chances of success sift through our fingers like so many grains of Old Bay seasoning. With a revised energy policy, Trump’s poll numbers will likely fly through the green roofs of his towers. And, much to the delight of talk show hosts everywhere, this will give him the boost he needs to secure the Republican lead. It will also give him an edge when he inevitably starts raising bad blood between himself and O’Malley in the general election. Here I’m assuming that by the time of the general, O’Malley’s irresistible charisma will have positioned him as the Democratic nominee. But those who might think that Trump’s total conversion to a “Passionate Energy” policy would have me jumping on the Trump ch00-choo would be sorely mistaken. As I said before, I am a nepotist and a regionalist at heart; choosing a candidate by policy is often an afterthought. Although I’ve never shaken Martin O’Malley’s hand, he’s appeared frequently on my local news channels, and I’ve been to a few of the venues that his band, O’Malley’s March, has rocked. So in other words, unless Mr. Trump builds a shiny gold tower in my city’s Inner Harbor and changes his residency, I’ll always be marching to the O’Malley fife and drum. But before Trump completely steals O’Malley’s and O’Maryland’s initiative on a revolutionary energy plan, I’d like to give our former Governor a few suggestion on how to approach the campaign and win the day. First off Governor, take a lesson from the Donald, or Don Rickles if you like. Start insulting Hillary and Bernie more. They’re both crusty old geezers and they can take it. If your mild Mid-Atlantic conscience bothers you, you can always tell them it’s nothing personal in private. Confess to them that sharpening your insult skills is the only way to prepare for the general election. We all know that hearing candidates deliver barbs is the best way to get the public’s and the press’s attention. My second piece of advice would be to task some of our scientists from Johns Hopkins and the University of Maryland to work on harnessing the kind of energy that invective seems to generate and then pump that energy into your clean electricity grid. Despite the negative connotations, I’m convinced that insults, like wind and solar power, are a form of clean energy, and what’s more, a form of energy guaranteed by the First Amendment. And finally, while your campaign advisers might not agree, I’d suggest that you not only raise the level of invective but also the level of dirty talk, which I hypothesize as another form of clean energy. Speaking from personal experience, I know that dirty talk generates tremendous heat. In fact, I’m certain that if not only you but all politicians infused their rhetoric with more dirty talk, and if the resulting radiation could be harnessed, our country could easily reach your goal of clean, green energy independence well before 2050. 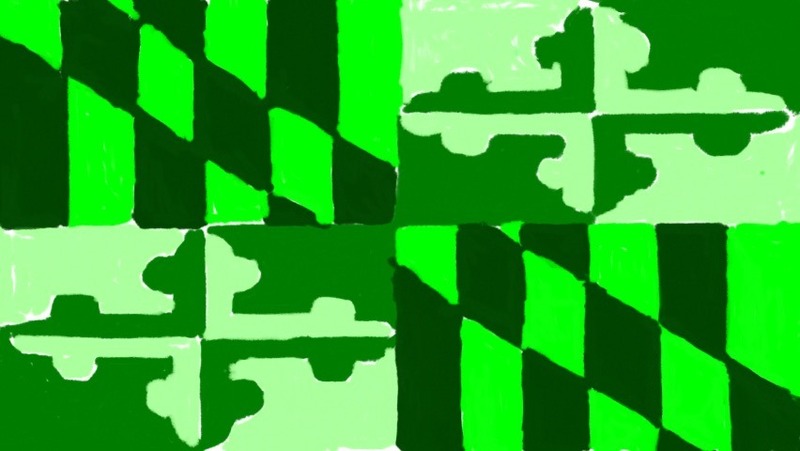 This entry was posted in Baltimore, Politics, Science and Technology, Uncategorized and tagged bad blood, Barbara Mikulski, Ben Carson, clean energy, Don Rickles, Donald Trump, electricity grid, green energy, Johns Hopkins, kielbasa, Martin O'Malley, Maryland, Republican, Spiro Agnew, Spirograph. Bookmark the permalink.